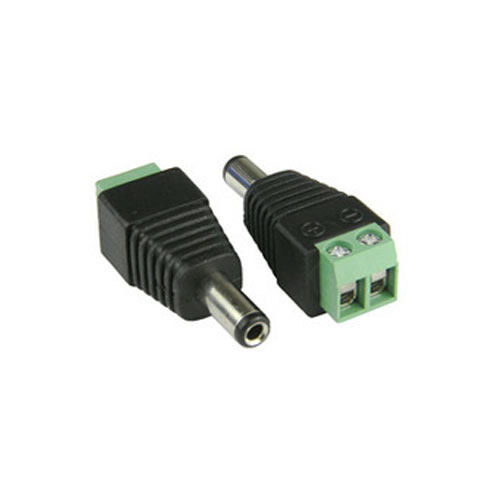 Supported by trained personnel, we are readily instrumental in presenting a comprehensive spectrum of Male DC Connector. Established in 2008, Pzad India Private Limited is an eminent entity indulged in Manufacturer and Wholesaler a huge compilation of CCTV Cable, Co-axial Cables, CCTV BNC Connector, CCTV DC Connector, CCTV Video Balun and many more. Manufactured making use of supreme in class material and progressive tools and technology; these are in conformism with the norms and guidelines defined by the market. Along with this, these are tested on a set of norms prior final delivery of the order.